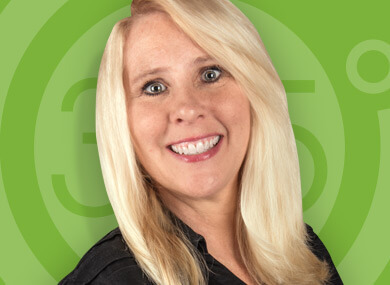 As the founder and owner of 365 Degree Total Marketing, Linda is the Energizer Bunny of the office. When she’s in the office, Linda not only manages the day to day processes to ensure each project goes smoothly, but she also brainstorms with the staff and interjects creative ideas to make each project “pop and sizzle.” When she’s not in the office, Linda is visiting clients throughout Georgia and the Carolinas. Co-Founder / Chief Executive Officer, Great Southern Publishers [GSP] dba 365 Degree Total Marketing, St. Simons Island, GA/Atlanta, GA/North Myrtle Beach, SC. +30-year-old, 30 member international, national and regional award-winning communications/marketing/publishing company. Produces +60 publications/projects in multiple divisions: visitors guides, newcomers guides, chamber of commerce publications, maps (printed and web-based), brochures, branding, web development (70 sites), search engine optimization (SEO), search engine marketing (SEM), photography, and videography. Readers/viewers/listeners/partners in 50 states, numerous foreign countries. In coordination with Texas Instruments (TI), Computerland, and the Shepherd Spinal Center (Atlanta), consulted in marketing and implementation of a voice – activated computer software application using TI computers. One of the first of its kind, designed, developed and implemented application which offered quadriplegics improved ‘quality of life’ with a new, life enhancing digital technology -- through the spoken word. Bachelors Degree, Psychology and Human Resources, Macon, Georgia, 1982. Masters Degree, Psychology – Education, Atlanta, Georgia 1983.